A woman was arrested on Monday night at Justin Bieber's temporary Beverly Hills home on suspicion of trespassing for the third time in a week. 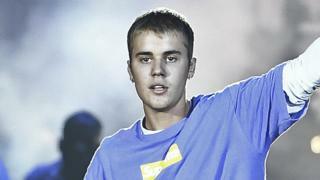 Earlier this year Bieber cancelled the rest of his World Purpose tour, which affected 14 dates in Asia and North America. He explained on Instagram: "Me taking this time right now is me saying I want to be sustainable. "I want my career to be sustainable, but I also want my mind, heart and soul to be sustainable."